Human beings need a toilet. The removal of feces is a daily business. 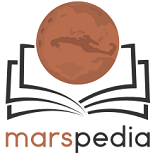 This page wants to collect possible methods that may be useful in a Martian colony. The concepts reach from lo-tech to hi-tech. A simple pit latrine in the greenhouse allows to mix the feces with soil,compost and regolith, which can be used to grow food plants. Terra preta can be made. Certain insect larvae can live solely on feces. They produce valuable proteins. Technical waste water recycling is used on the ISS. It filters some chemicals out and provides fresh water as a result. Urine contains high levels of nitrogen and phosphorus and can be used to make fertilizers.